We are living at a time of great change when many are struggling. Such insecure times lead those who seek a sense of belonging to ask, “Where do I fit in?” This book offers a way to connect with our collective roots. The wisdom reflected in the Deep Feminine Spirituality hidden beneath the roots of the Hebrew letters is revealed in symbols born in the primary cultures where the alphabet developed, by people who understood their own value and also their oneness with the web of life. The Tarot provides a vessel through which this ancient wisdom can flow in a way that is accessible and relevant for people’s lives. People want a way to access immediate guidance. When they are experiencing difficulty in their relationships, or when confronting personal challenge this book can be turned to like a wise friend or grandmother. Whether reading one card or a full layout, it acts as a credible resource for those who seek insight or advice, helping them find their own best answers. In this book, the Hebrew letters, Kabbalistic Tree of Life and archetypes underlying the Tarot serve to help us find and value our own deep knowing. Our connection to our communal roots and appreciation for the whole, carries an awareness that our very survival depends on our ability to integrate valuing ourselves, each other, and our beautiful, living planet, Earth. In this manuscript the author has referenced and arranged the traditional Tarot Major Arcana archetypes with Hebrew letters that share related essential elemental meanings. The discoveries these new alignments open to an intuitive mind are a journey of great beauty. This book is written in a popular conversational style. It is easily accessible to those who have no previous knowledge of the Hebrew alphabet, Kabbalah, or Tarot as well as those who want to connect to either or all on a deeper level. 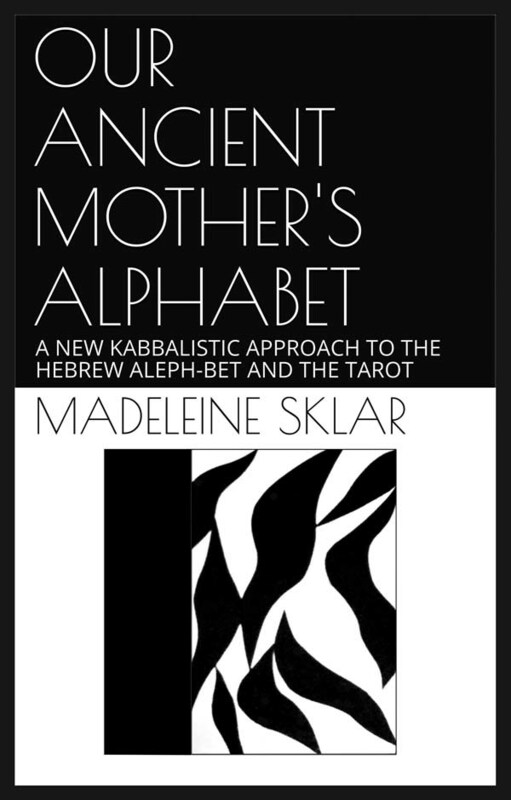 OUR ANCIENT MOTHER’S ALPHABET: A NEW KABBALISTIC APPROACH TO THE HEBREW ALEPH-BET AND THE TAROT, awaiting publication. 1970 to 1979 Many contributions of poetry and art Shameless Hussy Press, Berkeley, Ca. 1971 Aldeberan Review, AR 11, in December. 1971-1977 Shameless Hussey Press. Assisted Alta as we published a number of the Shameless Hussy Pressbooks. 1972 Immersion / by Mary Mackey; with illustrations by Mady Sklar. [San Lorenzo, Calif.: Shameless Hussy Press. THE HUNGRY CRAB AND THE TURTLES (About the need to protect this endangered species). ANANCY AND THE FORCES OF NATURE (Forces of nature: Earthquakes, Hurricanes, Rain, Snow, Volcanoes). CHANTELL AND ANTHONY (Two inventive children decide to fool everyone so they can skip school and play all day until their mama catches them and they learn an important lesson). MAMA RAINBOW’S CHILDREN (An art lesson about color mixing, and basic color theory for small children). JIMAR AND JASMINE (Brother and sister have an adventure the microscopic world of nature). In 1999 my daughter and I went to Turkey. Our visit to Topkapi Harem provided the physical environment for this series of poems and led me to research harem life. I encountered the cloistered, proscribed world of women where emotions are heated and intensified as if by sunlight beamed through a magnifying glass. This series of poems explores universal aspects of women’s lives and experiences, that transcend particularities of time and locale and express emotions that belong to us all. A story which reflects the wisdom of Native American peoples, as it follows eleven-year-old Lakota twins throughout the week of a contemporary Sundance.